And he said this in the 1970s, long before the internet. There is more information available now than ever before in human history. This is uncharted territory. 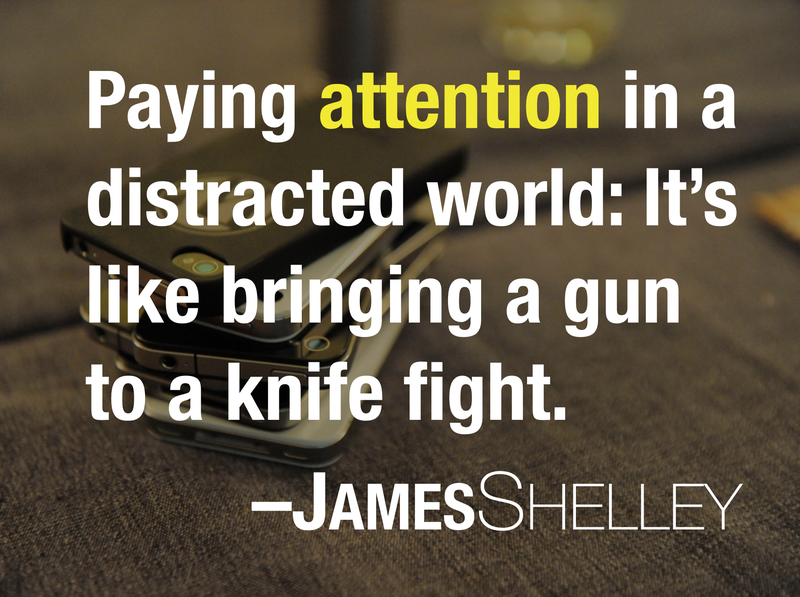 Is our attention strained and scattered more than ever before? Mine is. My hunger for information seems insatiable. But my ability to focus on one thing, or one person, for a meaningful amount of time has gotten more fragile. Paying attention — deep, focused attention — has become a kind of superpower. That’s the muscle I need to be trying to strengthen.